I found this 1986 Bridgestone MB-2 on Craigslist a couple months ago with completely original components and in very good shape. I decided to use it for an Xtracycle build and am very happy with it. 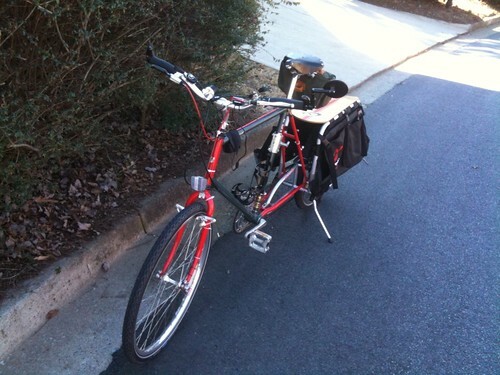 Also added a Brooks B-67 saddle and am using an Aerospoke rear wheel that I already owned. The gizmo clamped to the seat tube is an attachment for a "Springer" bicycle dog leash. I take my dogs for a run with the bike a few times a week.